After a hectic workweek, it’s time for relaxing, catching up with friends, and, of course, brunch. This weekend staple has steadily gained popularity in recent years, with restaurants offering extensive food and beverage menus, from boozy breakfasts to family-friendly feasts. 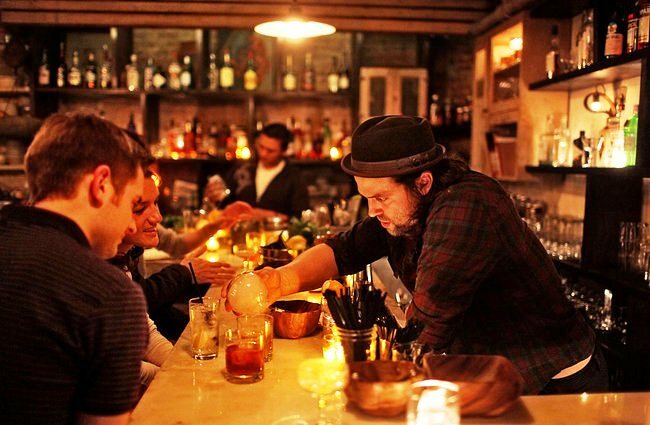 Satisfy your cravings with one of these top NYC picks. Croissants and beignets with nutella and pastry cream are featured on the pastry menu at this high-end French brasserie located in Manhattan’s Financial District. Other menu standouts include Eggs Cardinal and Sea Urchin Spaghettini, and an impressive array of brunch cocktails, including a variety of Bloody Marys. Vic’s, located in Manhattan’s tony NoHo neighborhood, offers an Italian-Mediterranean menu featuring locally-sourced ingredients. Baked eggs with tomato and ricotta and soppressata pizza are just two offerings from the brunch menu, which also includes an extensive cocktail list. 945 Madison Avenue at 75th Street | UES Located on the lower level of NYC’s Met Breuer museum, Flora Bar offers innovative twists on brunch ideas, including a shrimp roll with hollandaise sauce and a maple and sesame pound cake served with a sunny-side-up egg and thick-cut bacon. A variety of pastry and coffee options rounds out the menu at this Upper East Side favorite. This popular spot occupies three stories in Brooklyn’s trendy Williamsburg neighborhood. Diners flock to the rooftop garden and sidewalk cafe for menu favorites like hazelnut-maple praline pancakes and biscuits and gravy. Weekend brunch is served on a walk-in basis, with a limited number of reservations accepted between 10am-10:30am.